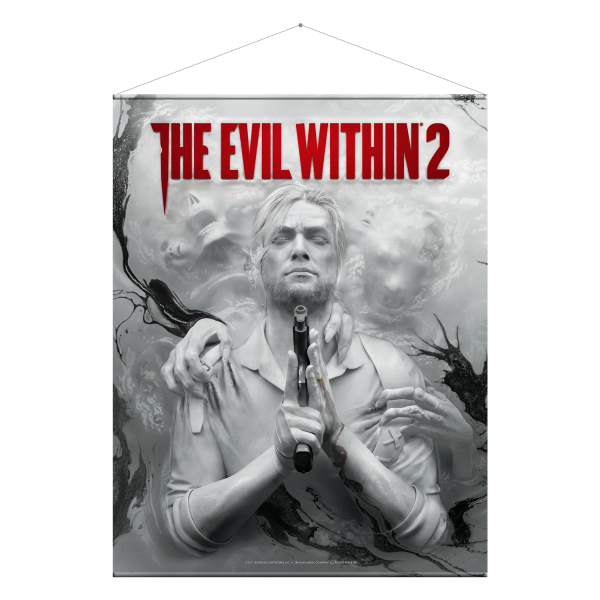 Can we all agree that the main artwork for "The Evil Within 2" is one of the best we've ever seen? Good, because that's the reason it was put on this 100 x 77cm wallscroll! Wallscrolls are the better posters: Elaborately printed polyester canvas between two aluminum rods ensures long-lasting joy without the risk of wrinkles or creases. Manufactured by Gaya Entertainment.